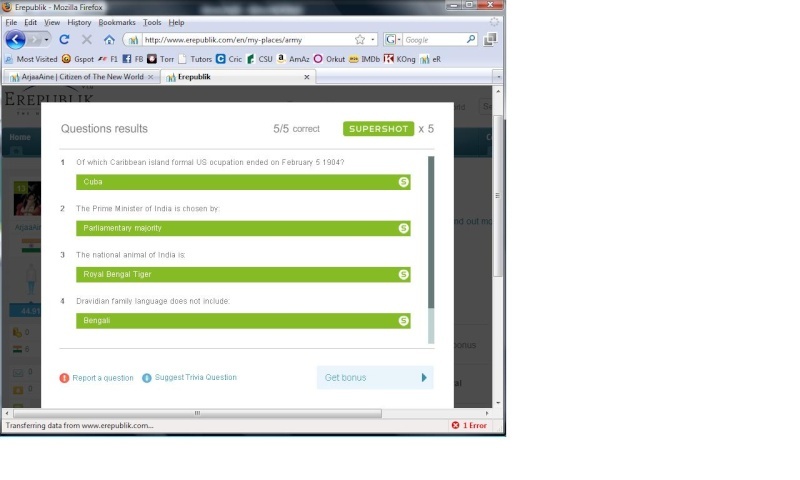 Even thoug I am not reallife Indian, I get many 'Indian' questions right and got 5/5 + 5 supershots on a regular basis. Btw moved it because I think it's better off here. I am quite new.WHAT ARE WE TALKIN ABOUT. This was a trivia feature which was available few months back whenever u fought a war and it boosted ur dmg for every correct answer. Anyway this feature is no more and we are given max bonus on the dmg, I suppose. Correct me, if i'm wrong. yeah thats right. They got rid of it because they thought it was impractical and pointless.